1 Bedroom Flat To Rent in London for £2,730 per Calendar Month (Calculated). 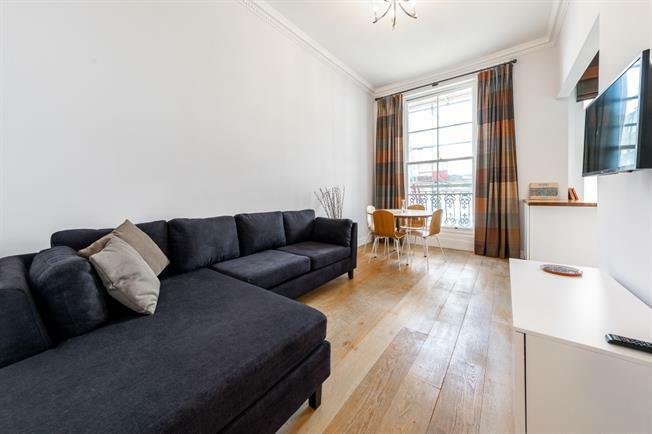 SHORT: This superb, newly refurbished one double bedroom apartment is located on the first floor of an elegant period building on Chepstow Road. The property offers plenty of natural light and boasts contemporary interior with wooden floors throughout and high ceilings. The property comprises modern kitchen and bathroom, airy reception/ dining room and spacious double bedroom to the rear of the property with great storage. Chepstow Road is conveniently located for the calm open spaces of Hyde park and the vibrant shops, cafes and restaurants dotted along Westbourne Grove, Notting Hill Gate and Queensway. Good transport links are close by with plenty of bus routes and a short walk to both Bayswater (District & Circle line) and Queensway (Central line) underground stations.